The 2018 CSA season is officially in full swing! 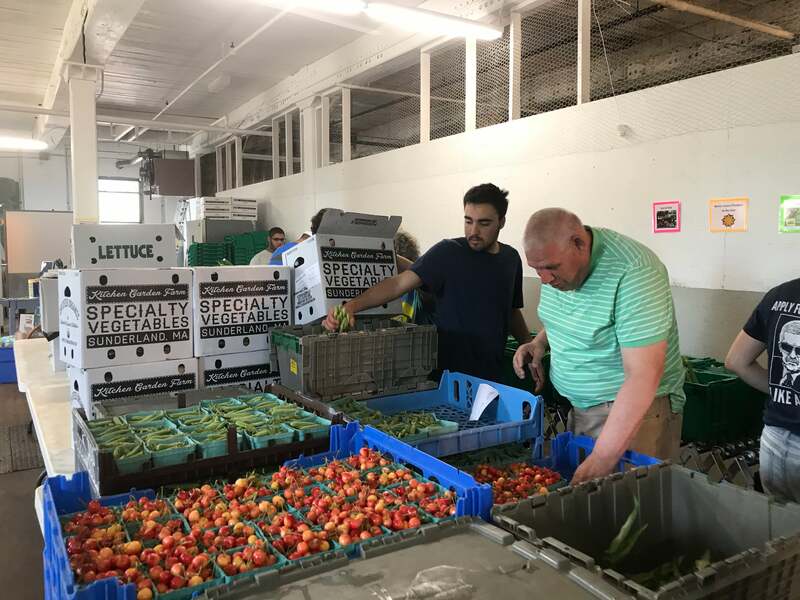 The Food Hub Team is busy aggregating produce from our alumni farmers and forming a bountiful fruit and vegetable share. Despite a late start to the season, our farmers have been delivering beautiful produce to the Food Hub. The season kicked off with a week one CSA share featuring baby bib lettuce and the biggest bunches of cilantro from farmer Rechhat Proum, mustard greens from Sorn Un, garlic scapes from Berube Farm and Full Basket Farm, hakurei turnips from Full Basket Farm, pea shoots, mint, and parsley from Seona Ban Ngufor, and collard greens from Phalla’s Produce. We also sourced local crops from established area farms: beets from Kitchen Garden Farm and strawberries from Warner Farm. Learn more about our farmers here. We appreciate the awesome work we can do together with our farmers and volunteers. We anticipate a great season ahead! Summer farm share registration is filled, but you can still sign up for a fall share. Visit https://nesfp.localfoodmarketplace.com/ to learn more and sign up. Fall shares start on August 28th. Email us at foodhub@nesfp.org if you'd like to volunteer at the Food Hub. Happy Eating!